WHAT IS IT? The Model RFA is a secondary conveyor belt cleaner used to reduce the amount of work required in terms of under belt maintenance and cleanup. WHY IS IT NECESSARY? The Model RFA provides cleaning capability to reduce material buildup on idlers and rollers, which eventually causes problems by damaging belts through improper alignment and excessive wear due to drift. Sample model is RFA(mounting option)-(belt width)(blade type), example RFA358-36T. Housing is polyester powder-coated carbon steel. 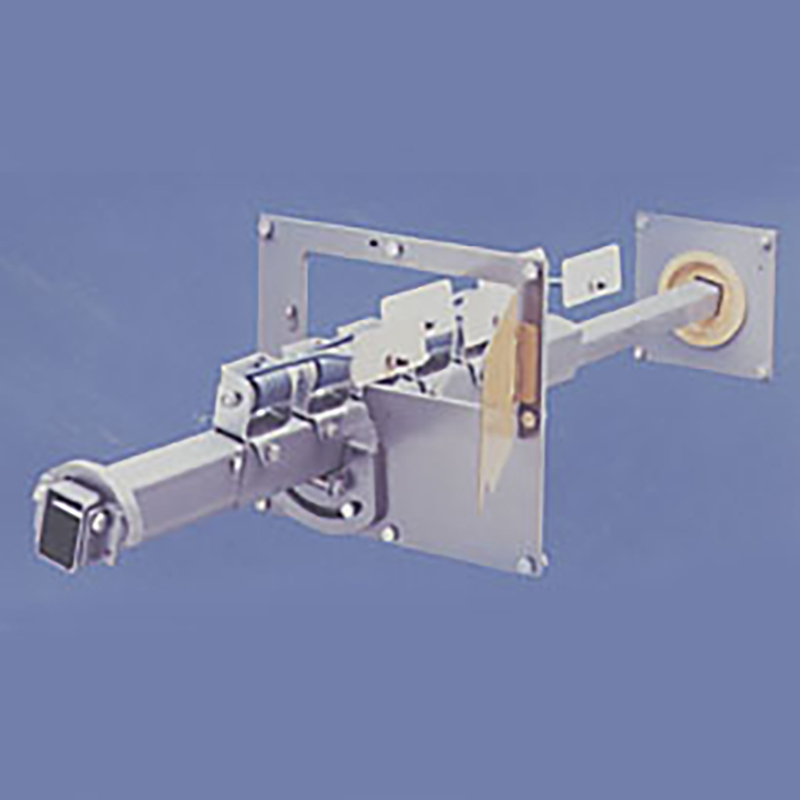 Flanged mounting for within chutes, or hanger rail mounting. The unit is mounted on the conveyor by either mounting flanges or hanger brackets. Variety of blade materials to choose from including heat treated spring steel (H), stainless steel (S), urethane (U), nickel alloy coated stainless (N), ceramic (C), and tungsten carbide (T). Each blade is on an independent spring arm, providing individual tension against the conveyor belt. Single pressure handle provides easy adjustment of blade tension against the belt. The Model RFA is mounted underneath the head pulley at the 6 o'clock position. The operating temperature range is -40ºF to 150ºF (-40ºC to 66ºC).